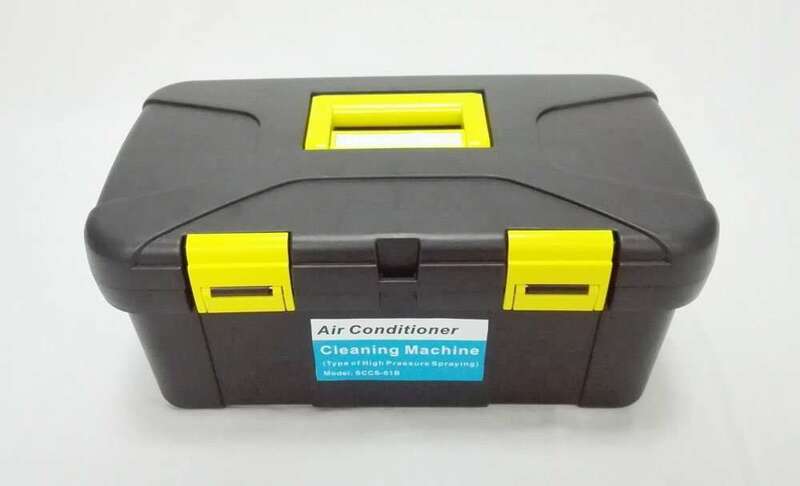 Brief Description: The machine tool kit is a descaling Pump for flush washing air conditioner evaporator coils,fins and plastic shells to remove dirt and debris safely from air conditioner aluminium fins and other HVAC coils for improving system`s performance.Regular cleaning and maintenance your AC coils regularly can not only allow the system to work more efficiently,save electric fees, but also can let house feel more comfortable. 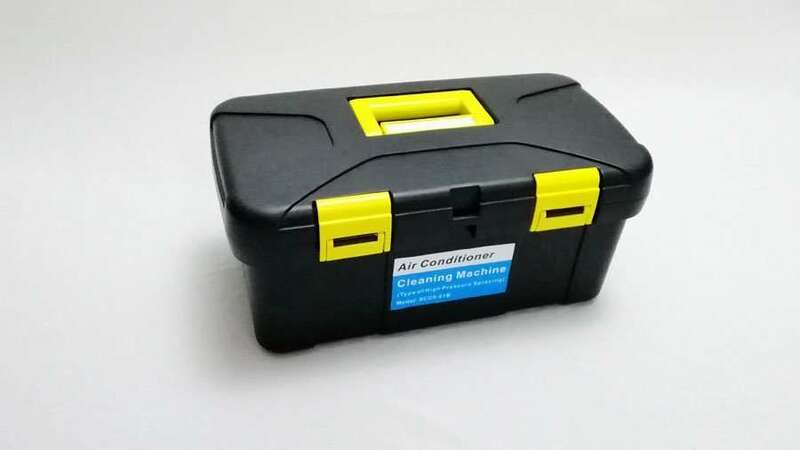 Best Feature:Professional design with a machine box,light weight and portable;DC12v;Water pressure can be regulated;Just by cleaning the evaporator and condenser coils with this machine to get clear and fresh air,and help your cooling system or air conditioner improve the working efficiency by 16%. 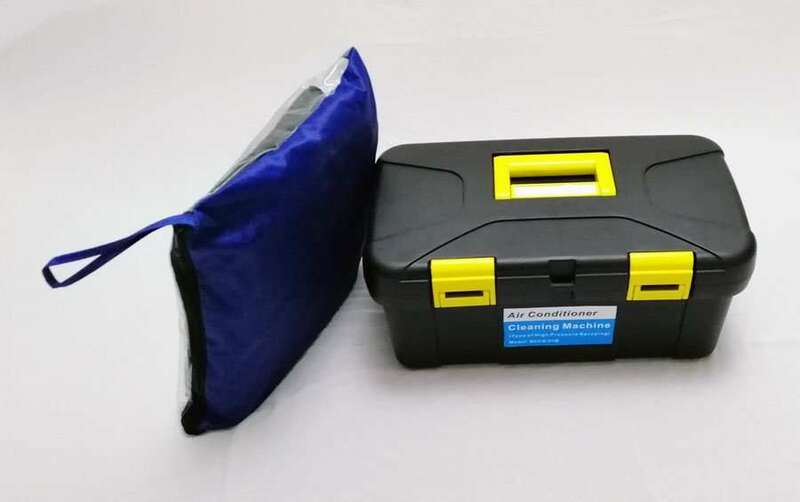 Manufacturer: Smartclima Co.,Ltd. ; Place of origin: China , Sell to worldwide. 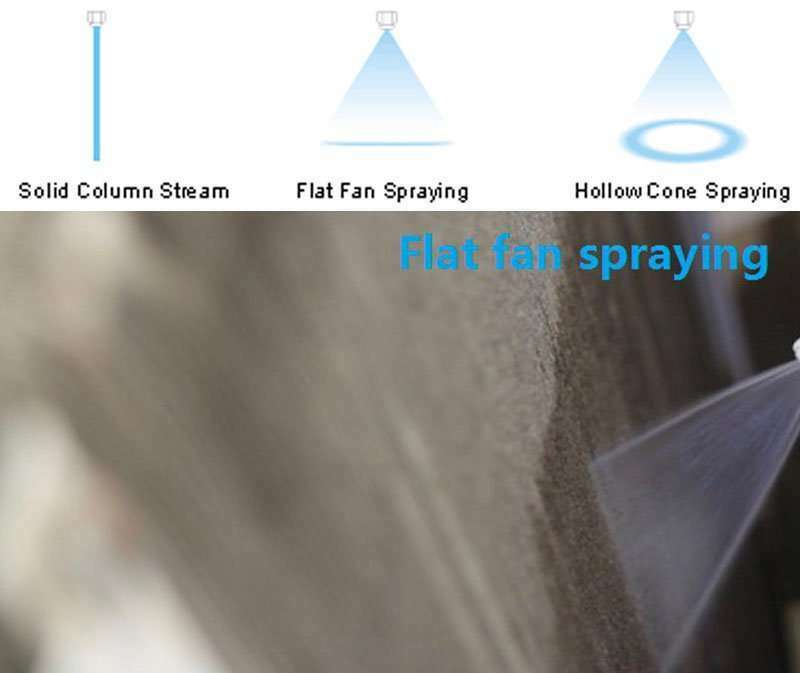 With this cleaning cover,no grey water flows or drops onto the back of wall or onto the floor. 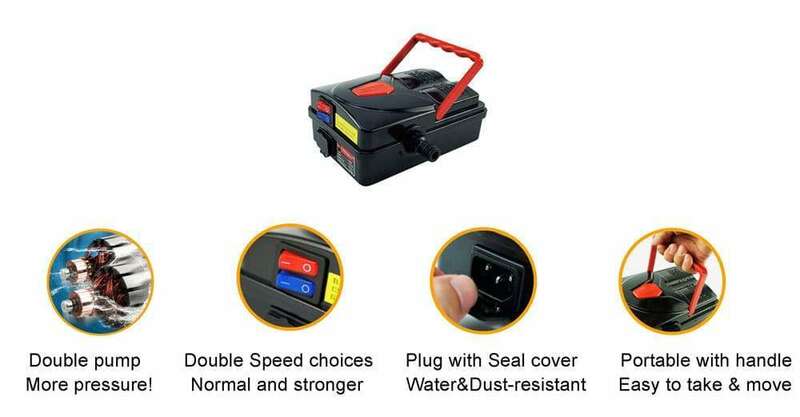 Other type of plug can be equiped if you require. 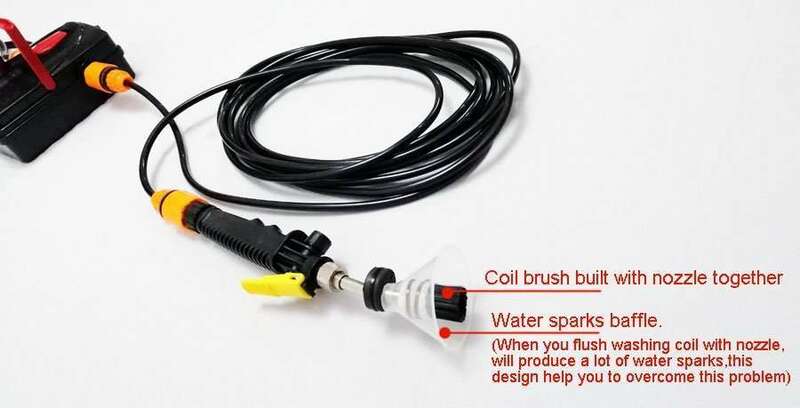 √ Quick open and work effectively,quickly arrange pipes into the tool box. 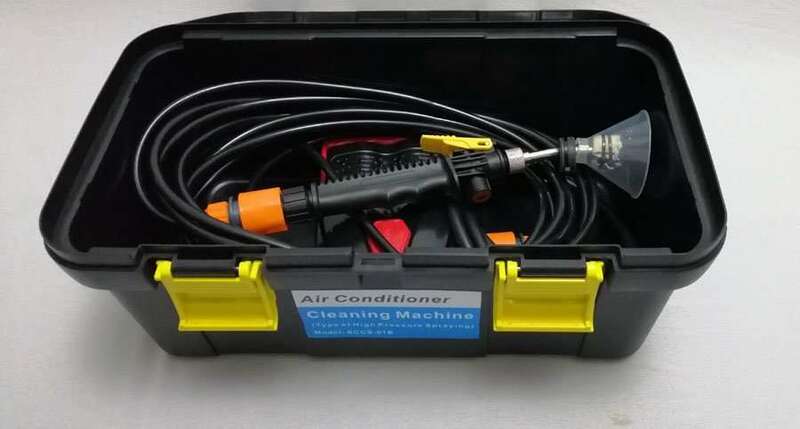 Just as its description,this Coil cleaning pump is widely used for cleaning/washing ductless air conditioner coil system,including wall mounted split air conditioner,standing air conditioner and ceiling air conditioner.It is a must-have tool kit for AC maintenance service company,Air Conditioning and Refrigeration Contractors & HVAC Service Contracts.how to clean a window air conditioner or a mounted split air conditioner?How to clean air conditioner coils?How to clean home or commerical air conditioner condenser, evaporate fins or filters? 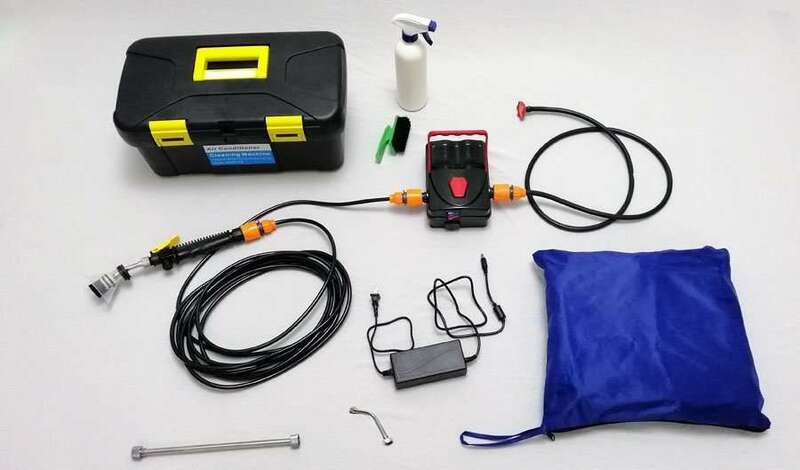 With this machine,all will become simple,you can D.I.Y cleaning your air conditioner system.You will find that cleaning air conditioner is a so simple work once you have seen our tool kit. 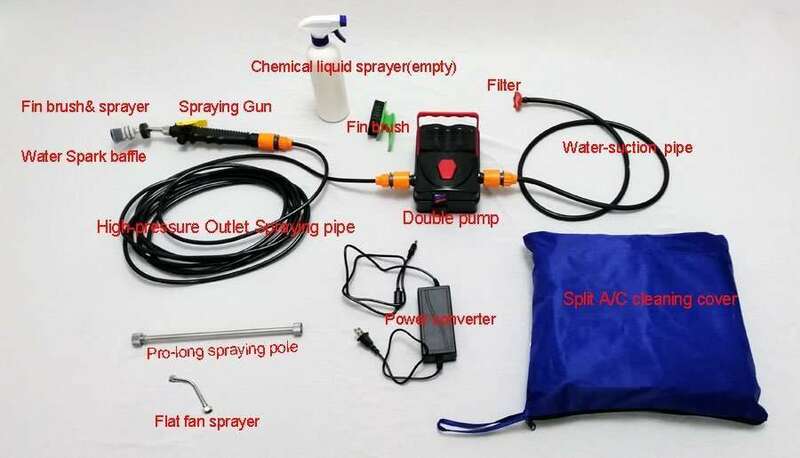 How to clean air conditioner unit with “AC Coil Cleaning Pump Machine Tool Kit,Type B”? 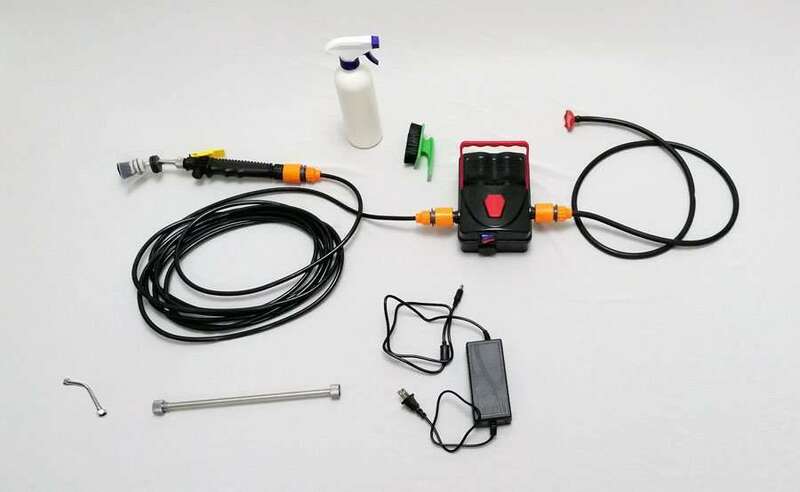 This video was shot using the “AC Coil Cleaning Pump Machine Tool Kit,Type A”. 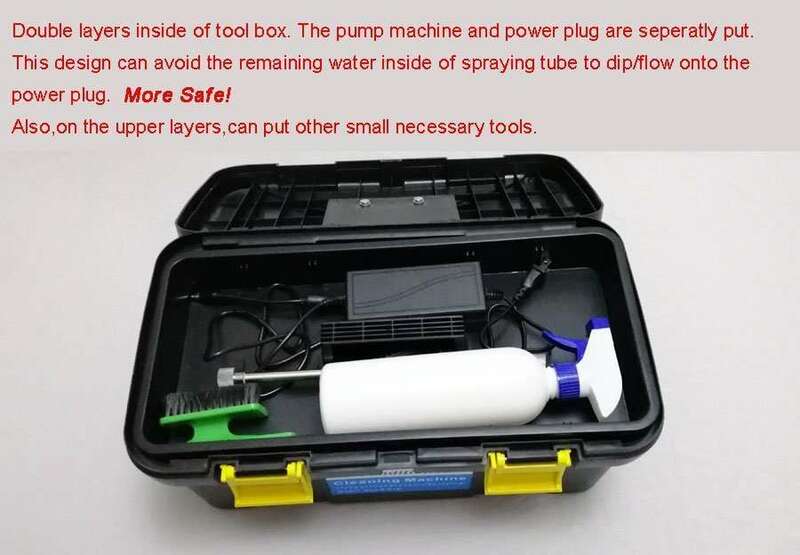 You can get the same results using the “AC Coil Cleaning Pump Machine Tool Kit,Type B” as introduced above. The segment was shot with a split wall mounted air conditioner. 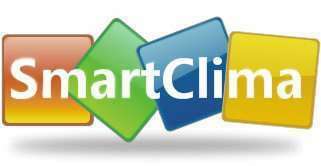 Contact: airconditioner@smartclima.com for more details and prices.